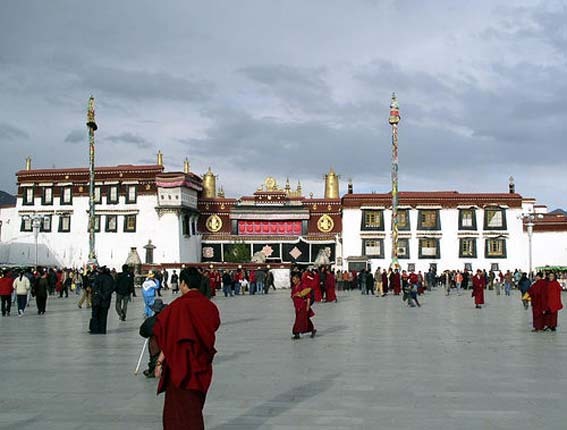 (TibetanReview.net, Apr04, 2015) – Buddhist monks and nuns should be seen as “friends” and their temples and monasteries in the Tibet Autonomous Region (TAR) must become propaganda centres of the ruling Communist Party, Reuters Apr 3 cited Beijing-appointed boss for the troubled region as saying. Writing in the influential fortnightly party magazine Qiushi, the region’s Communist Party General Secretary Chen Quanguo has called on the monks and nuns to learn to “revere” science and appreciate the party’s love. He was reported to have said the government should see the more than 1,700 temples and monasteries and 46,000 monks and nuns in the TAR as “friends” who appreciate the party’s benevolence. “Let the monks and nuns in the temples and monasteries have a personal feeling of the party and government’s care and warmth; let them feel the party’s benevolence, listen to the party’s words and follow the party’s path,” Chen was reported to have written in Qiushi, which means “seeking truth”. Reuters noted that Chen had struck a similar line before, writing in late 2013 that Chinese officials in the TAR must build an “impenetrable defense” against separatism and befriend monks and nuns, who are generally revered by the devoutly Buddhist Tibetans.